Khamenei meets with families of IRGC fighters who were killed in Syria (Website of Ali Khamenei, December 5, 2016). 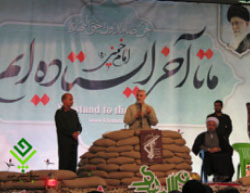 Soleimani delivers a speech in the city of Jahrom (pasinejahrom.ir, December 7, 2016). 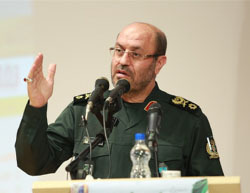 Iranian minister of defense, Hossein Dehqan (Tasnim, December 13, 2016). 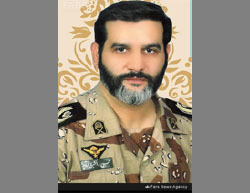 Brigadier general Hassan Akbari, commander of an IRGC battalion in Tadmor, killed in Syria (Fars, December 13, 2016). 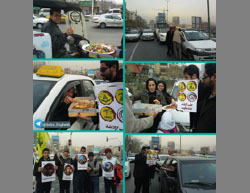 Student Basij members distribute candy and pastries in Tehran to celebrate the fall of Aleppo to Assad's forces (Iranian Telegram channel, December 14, 2016). Qasem Soleimani in eastern Aleppo (Iranian Twitter accounts, December 16, 2016). 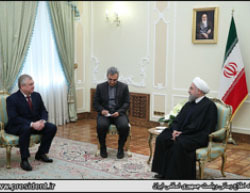 Iranian President Rouhani meets with Russian envoy Alexander Lavrentiev (Website of Hassan Rouhani, December 3, 2016). Hossein Sheikholeslam (Tasnim, December 12, 2016). Khamenei meets with a delegation headed by Ammar al-Hakim (Tasnim, December 11, 2016). Hisham Salem, secretary general of al-Sabirin (Tasnim, December 7, 2016). 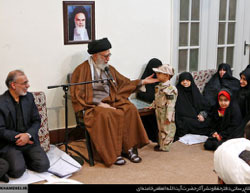 Khamenei meets with Ramadan Shallah (Tasnim, December 14, 2016). Iran welcomed the fall of the Syrian city of Aleppo to the forces of President Bashar Assad. The deputy commander of the Islamic Revolutionary Guards Corps (IRGC) declared the liberation of Aleppo was the first step in the victory of "the army of Islam" against the West, and said he hoped that in the near future Mosul in Iraq, Yemen and Bahrain would also be liberated. Two IRGC officers were killed in Tadmor (Palmyra), Syria. Supreme Leader Ali Khamenei, meeting with the families of IRGC fighters killed in Syria, said Iran was proud it had forces fighting in proximity to the borders of Israel. Consultations between Russia and Iran over developments in Syria continue. At the beginning of December a Russian envoy delivered to President Rouhani a confidential letter dealing with Syria. Interviewed by Iranian news agency Tasnim News, Former Iranian ambassador to Syria, Hossein Sheikholeslam, said the election of Donald Trump to the presidency of the United States would change the balance of power in Syria, because Trump regarded ISIS and not the Assad regime as the United States' number one enemy, and was prepared to cooperate with Russia on the future of Syria. 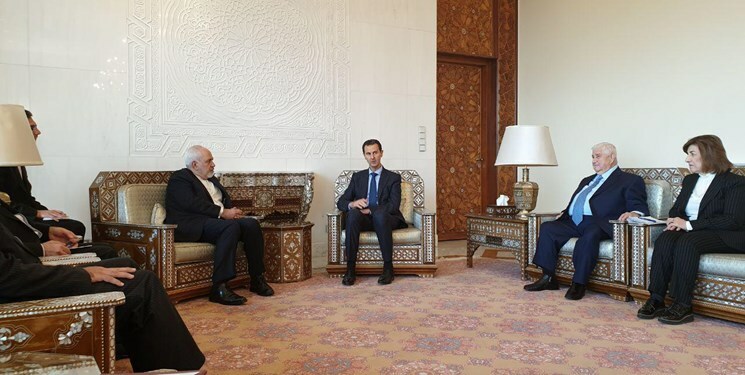 Mohammad Javad Zarif, the Iranian foreign minister, told the Majlis (Iranian parliament) committee for national security and foreign policy that a new ambassador had been appointed to Syria, and that his name would shortly be made public. He made the announcement following Majlis criticism of the delay in appointing a new ambassador to Damascus. A delegation of members of the Shi'ite National Alliance in Iraq, headed by Ammar al-Hakim, visited Tehran last week and met with senior Iranian officials. Supreme Leader Ali Khamenei told them that the Shi'ite militias in Iraq were an important asset for the future of Iraq and that they had to be supported and strengthened. He called on the Alliance's leaders not to trust the Americans. On December 5, 2016, the official website of Ali Khamenei, Iran's supreme leader, posted information about Khamenei's meeting with families of IRGC fighters killed in Syria. The meeting was held on November 21, 2016. Khamenei praised the fighters, saying they had been killed defending Shi'ite shrines, and that the young men who volunteered to fight in Syria and Iraq had a vision. He criticized those who had reservations about Iran's involvement in Syria, adding that Islamic religious law forbade Muslims to wait until the enemy entered their houses, and commanded them to fight against the enemy while it was still far from their borders. He said Iran was proud to have forces operating in proximity to the borders of the "Zionist regime." 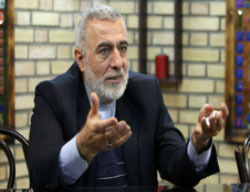 Abolfazl Hassan Beiki, deputy chairman of the Majlis committee for national security and foreign policy, said if the supreme leader ordered a jihad in Syria or Iraq, at least a million young Iranians would volunteer to join the campaign in obedience to the supreme leader's instructions. He said young Iranians had a strong desire to go to Syria and Iraq to defend the Shi'ite shrines, and that many civilians had signed up as recruits. He added that today Iran had two missions in Syria and Iraq: to advise the Syrian and Iraqi forces fighting terrorism, and to train them (Alef, December 10, 2016). On December 8, 2016, IRGC Quds Force commander Qasem Soleimani reviewed regional developments and the struggle against ISIS at a meeting of the Society of Seminary Teachers in the Iranian city of Qom, held without the presence of reporters (Jamaran and Mehr, December 8, 2016). The previous day he spoke at a memorial ceremony for IRGC martyrs held in the city of Jahrom in Fars Province. He said the victory of the Islamic regime and it success had been made possible because the leadership and Iranian people were united. He praised the path of jihad and sacrifice, saying all sectors of the Iranian public honored it. The Iranian people, he said, knew exactly what their goals and who their enemies were, and it was their determination and faith that had made success possible for the more than 30 years since the Islamic Revolution (Mehr, December 7, 2016). Speaking at a conference in Tehran, Hossein Dehqan, Iranian defense minister, said that once ISIS had been defeated in Iraq, it would turn towards Central Asia, Libya or the border with Jordan. He said Iraq, Syria and Yemen were tottering on the brink of partition, and their central governments were incapable of enforcing sovereignty over parts of their countries. He said partitioning would threaten regional security. He added that Iran's policy, in view of recent events, was based on an effort to improve its relations with regional countries and strengthen their defensive capabilities to create an anti-Western Islamic order. Iran, he said, regarded extremism, terrorism and the "regime occupying Jerusalem" [Israel] as immediate threats (Tasnim, December 11, 2016). Two IRGC officers were killed last week in Tadmor (Palmyra), Syria. Interviewed on December 6, 2016, Iranian Student Day, Daoud Goudarzi, head of the Basij student organization, said so far 50 students had been killed fighting in Syria. He said the number indicated Iranian students' revolutionary presence in all areas and Islamic Revolution success in transmitting its cultural values to the younger generation (Defa News, November 6, 2016). Iran welcomed the fall of Aleppo to the forces of Syrian President Bashar Assad. On December 14, 2016, Iranian President Rouhani called to congratulate him and said the liberation of Aleppo was an important step towards restoring stability to Syria (Fars, December 14, 2016). Hossein Salami, commander of the IRGC, said at a press conference that the liberation of Aleppo was a clear victory for the "resistance front" and a defeat for the West and its regional allies, which for the past six years had been trying to overthrow the Syrian regime and defeat the "resistance front." He said the recent developments in Aleppo had completely changed the balance of power in Syria, tipping it towards the Syrian regime. He said the liberation of Aleppo was the first step towards the victory of the army of Islam, and that Mosul in Iraq, Yemen and Bahrain would soon be liberated, with the help of Allah (Tasnim, December 13, 2016). After the fall of Aleppo, Rahim Safavi, senior advisor to the supreme leader for security issues, said the Americans understood that Iran was the most important power in the Middle East. The liberation had been made possible, he claimed, by the coalition of Iran, Russia, Syria and Hezbollah, and that the liberation of Mosul would soon be achieved (YJC, December 14, 2016). Mohammad Marani, commander of the IRGC's Qods Force ground forces, said the liberation of Aleppo had been made possible through the help of Shi'ite and Sunni forces. He claimed the support of Saudi Arabia and the "Zionist regime" had not led to the defeat of the Islamic fighters and that the day would come when the flag of Islam flew over al-Aqsa mosque in Jerusalem and the enemies of Islam had been humiliated (Fars, December 9, 2016). 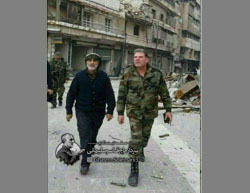 The social networks in Iran recently posted a picture of Qasem Soleimani, commander of the IRGC's Qods Force, being shown around the eastern part of Aleppo. The Kremlin confirmed that Russian President Putin sent Iranian President Rouhani a confidential letter concerning Syria. Kremlin spokesman Dmitri Paskov said he could not reveal the details of the letter (Press TV, December 6, 2016). At the beginning of December, Russian envoy Alexander Lavrentiev met with President Rouhani and delivered the letter. Around the same time, Mikhail Bogdanov, the Russian deputy foreign minister, paid a visit to Tehran to discuss developments in Syria. On December 5, 2016, he met with Hossein Jaberi Ansari, Iranian deputy foreign minister, who told him that Iran regarded its strategic relations with Russia and their continuing consultations over regional developments as very important (ILNA, December 5, 2016). On December 14, 2016, foreign ministers Zarif and Lavrov discussed the situation in Syria on the phone (Mehr, December 14, 2016). Interviewed by Tasnim News on December 12, 2016, Hossein Sheikholeslam, former Iranian ambassador to Syria, said Trump's election to the presidency of the United States would change the balance of power in Syria, because unlike outgoing President Obama, he viewed ISIS and not the Syrian regime as America's number one enemy, and he was prepared to cooperate with Russia about Syria's future. In addition, he said, Trump was opposed to American intervention in the Middle East and emphasized the need to focus on finding solutions for the problems of America. 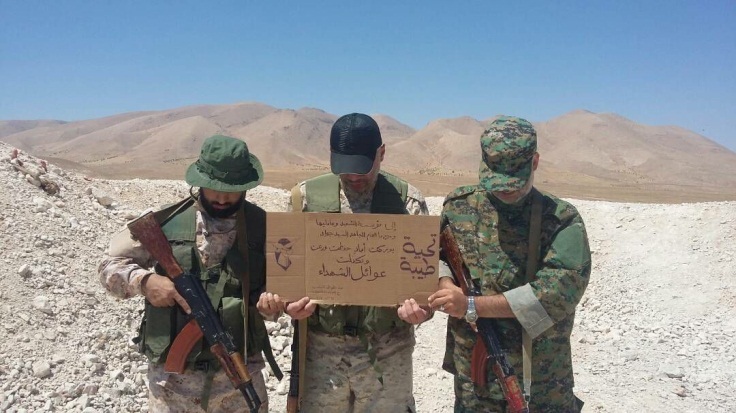 As to Iran's involvement in Syria, Hossein Sheikholeslam said it was based on the concept of fighting terrorists when they were far from Iran's borders to keep them from approaching. If el-Quseir falls, he said, Damascus will fall and ISIS will attack Iraq, and if Baghdad falls, the war will arrive at the gates of Iran. A group of Majlis members sent a communiqué to Mohammad Javad Zarif, the Iranian foreign minister, asking him to explain the delay in the nominating a new Iranian ambassador to Syria. They claimed that in view of the sensitivity of the situation, the term of Mohammad-Reza Raouf-Sheibani as ambassador to Damascus should not have been ended before a replacement had been appointed (Mehr, December 11, 2016). Zarif answered that the next ambassador had been nominated and his name would shortly be announced (Fars, December 13, 2016). Last month Mohammad Irani, general manager for Middle Eastern affairs in the Iranian foreign ministry, said a pro tem ambassador would be sent to Damascus until a permanent ambassador could be appointed. At the end of October Mohammad-Reza Raouf-Sheibani's five-year term as ambassador ended without a replacement's being named. On December 11, 2016, Supreme Leader Ali Khamenei met with Ammar al-Hakim, chairman of the Islamic Supreme Council of Iraq, and with members of the National Shi'ite Alliance in Iraq. He said that the Shi'ite militias in Iraq were an important asset for Iraq's future and they had to be supported and strengthened. He called on the leaders of the Shi'ite alliance not to trust the Americans who, he claimed, opposed strong Islamic countries, Iraq among them, and supported the terrorists in Syria and Iraq. He emphasized the need for strong cooperation between Iran and Iraq, which served the interests of both countries (Fars, December 11, 2016). 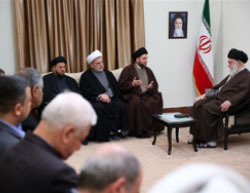 While in Tehran, al-Hakim met with other senior Iranian officials, among them the president, the speaker of the Majlis and the head of the Iranian Judiciary. Interviewed by Tasnim News on December 7, 2016, Hisham Salem, secretary general of the Gaza Strip-based al-Sabirin movement, said Iran supported the movement in every area, including with weapons and guidance, to enable the Palestinians to "resist" Israel. He said the movement agreed with Iran far more than it disagreed, and that relations with Iran had proved that its strategic position towards the Palestinians was stable and unchanging. 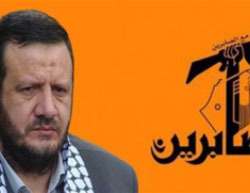 A Tasnim News correspondent in the Gaza Strip interviewed Hammad al-Raqqab, a senior Hamas official in Khan Yunis, who said that Iran's support for the Palestinian "resistance" and Hamas' Izz al-Din Qassam Brigades could not be denied. He said the Islamic "resistance" owed Iran its ability to confront the "Zionist regime" and strike deep at the heart of Israel. 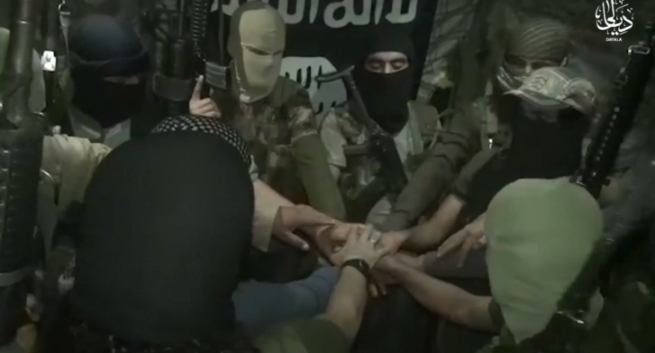 The al-Sabirin movement is a terrorist network established in 2014 by Palestinian Islamic Jihad defectors. It is affiliated with Hezbollah and Iran. On December 16, 2015, it claimed responsibility for attacking an IDF patrol with an IED near the border security fence in the southern Gaza Strip. In July 2015 the Hamas government announced it had dismantled the movement, which operated a series of Iranian-funded Shi'ite charitable organizations. However, movement operatives apparently continue their activities. Interviewed in January 2016, al-Sabirin head Salem said the movement did in fact receive funds from Iran, but they were meant mostly to fund da'wah activities for the dissemination of Shi'a. He refused to say whether the organization also received military support from Iran, but did say that the organization's operatives did not receive salaries for their activities (Ma'an, January 14, 2016). Iranian support is a visible attempt to reassume a significant role in the Palestinian arena, in the wake of the crisis in its relations with Hamas caused by the civil war in Syria. After Operation Protective Edge (2014), Iranian Supreme Leader Ali Khamenei called for more Iranian support for the Palestinians and for the West Bank to be armed. Last week a Palestinian Islamic Jihad delegation headed by the organization's secretary general Ramadan Shallah paid a visit to Tehran and met with senior Iranian officials. Supreme Leader Ali Khamenei promised the delegation that in 25 years Israel would no longer exist if Palestinians and Muslims waged a joint struggle to defeat it. He said that despite the fact that Iran was involved in other regional problems, it had always regarded the Palestinian cause as the most important issue facing the Muslim world (Tasnim, December 14, 2016). Meeting with Ramadan Shallah, President Rouhani said that "resistance" and jihad were the only way for the Palestinians to deal with the "Zionist regime" and that the liberation of Jerusalem and the realization of the rights of the Palestinians had to be the most important issues for Muslims. He stressed Iran had supported the Palestinians since the Islamic Revolution, and said Iran would not hesitate to aid and support the Palestinians (Tasnim, December 13, 2016). 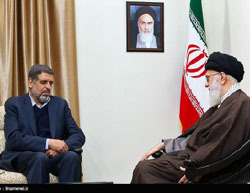 Meeting with Shallah, Ali Shamkhani, secretary of Iran's Supreme National Security Council, said that the defense of Palestine and the liberation of Jerusalem were the Muslim world's top priority, and that any activity that detracted from the struggle against the "Zionist regime" was a betrayal of Muslims. He said that Israel and some Middle Eastern countries were the strategic partners of regional terrorist groups and provided them with arms, medicine, intelligence and funds. Ramadan Shallah expressed his and the Palestinian "resistance's" thanks for the support of the supreme leader, the government of Iran and the Iranian people, and said the Islamic Republic of Iran was the only government in the world that supported the Palestinians and did not officially recognize the "Zionist regime" (Mehr, December 10, 2016). While in Tehran he also met with Mohammad Javad Zarif, the Iranian foreign minister, and Ali-Akbar Velayati, senior advisor to the supreme leader for international affairs. Hossein Amir Abdollahian, international affairs advisor to the speaker of the Majlis, said defending the Palestinians and Jerusalem were the top priorities of every Muslim government and the entire Muslim world, and that Iran supported the Palestinian people in its struggle against the "Zionist regime." He made the remark in the wake of Israeli Prime Minister Benyamin Netanyahu's visit to Baku, the capital of Azerbaijan. Abdollahian strongly condemned the visit, saying its objective was to ignite the fires of hostility in Central Asia and the Caucasus (IRNA, December 11, 2016). 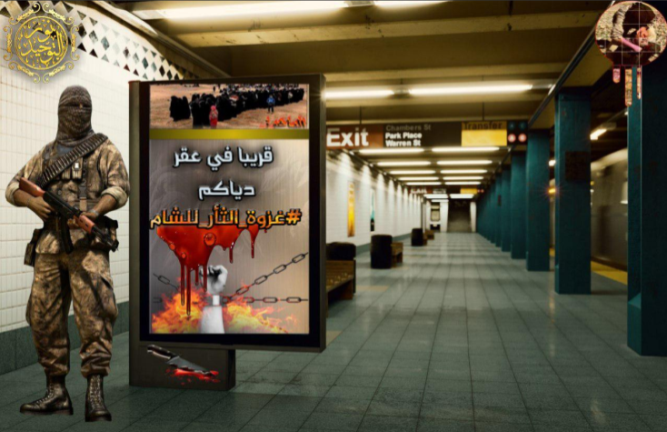 [*]Spotlight on Iran is an Intelligence and Terrorism Information Center bulletin illuminating Iran's activities to establish its influence in the Middle East and beyond. It is based on reports in the Iranian media and written for the ITIC by Dr. Raz Zimmt, an expert on Iran's politics, society, foreign policy and social networks.